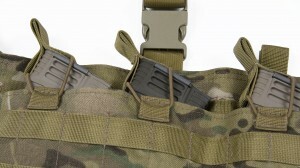 The AK47 Chest rig had not had a major redesign for years and we wanted to revolutionize it. Here at BCS we’re fans of the the AK weapon systems, so we designed a AK47 chest rig that was basic, streamline and effective like the weapon system itself. Here are a few design consideration used when we came up with the AK47 Chest rig. 1 – change the way the AK mag are carried. 2 – build the lowest profile AK mag chest rig on the market. 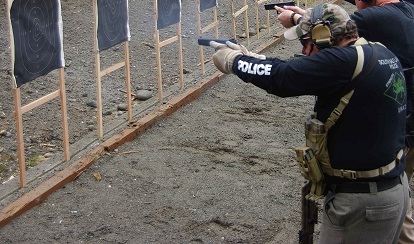 3 – a light combat load and break the 6 or 8 mag options. 7 – make it at a price point that is affordable. 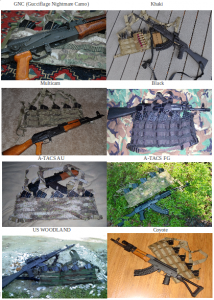 Most of the AK47 chest rigs on the market are based upon the Chinese Chicom or Russian Lifchik and support 3,4 or 6 magazines. The 6 magazine design is usually designed around three double stack pouches. Once a magazine is removed the other one gets really sloppy. Our rig eliminates the sloppiness. 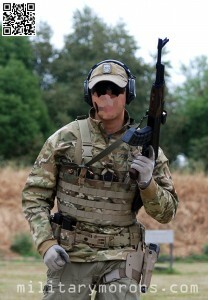 The advances in chest rig design have mostly taken place around the AR magazine used by US and NATO forces. The small elastic pull-tabs work great for the AR magazine, but not so great with the larger curved AK mag. We designed an over sized pull-tab that takes advantage of the curved mag design and secures the mag in the mag pouch. Not working against the mag but working with it. 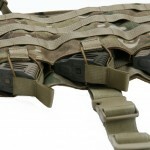 Three rows of molle across the expanse of the chest rig allows for molle compatible pouches. With plenty of molle the operator can configure the rig for mission specific operation. 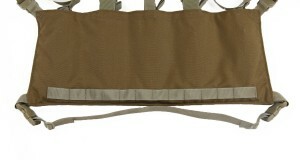 In the inside of the chest rig is a single row of molle along the bottom that can be used for a mag drop pouch, attachment of a bandoleer or to connect to a tactical belt. If you are familiar with the Lifchik chest rig there are two straps that are used for the attachment of the GP25 bandoleer. 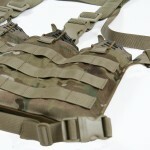 The redesign of the AK47 chest rig is part of the transformation of the AK weapon systems. 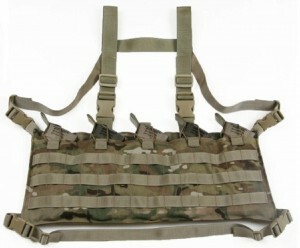 The chest rig is available in Multicam, A-TACS AU, A-TACS FG, Coyote, Ranger Green, Khaki, Woodland and Black. LE guy out on the range shooting doing transition using the AK chest rig.